Conventional wisdom has it that fluoride prevents caries (cavities), and, as with many things, a lot of people tend to think that more is better. So dentists give fluoride treatments and supplements. Cities fluoridate public water supplies. This is sensible insurance, we’re told; good, preventive medicine. No doubt the intentions of fluoride proponents are good, but you know what they say about good intentions. And the adage bears even more truth when those good intentions ignore hard facts, starting with the reality that evidence in support of fluoride supplementation is a little sketchy. 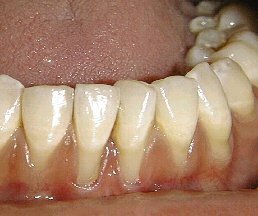 Fluorosis is what happens when a person gets too much fluoride. In its mildest form, we see the teeth marked by white streaks or flecks. In more severe forms, we see brown and black staining of the teeth, along with pitting and cracking of the teeth. Meanwhile, water fluoridation doesn’t appear to prevent caries at all. This is borne out in report after report on outcomes in communities with fluoridated water. A recent one out of New Zealand found that children in non-fluoridated communities actually had 1% fewer cavities than children in communities with fluoridated water. And yet the Ministry of Health continues to recommend fluoridation! 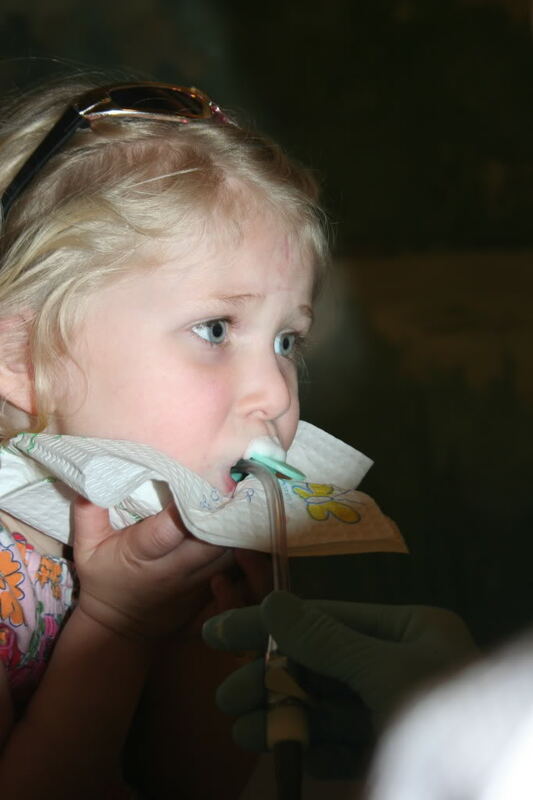 The truth is, fluoride is just not necessary to prevent caries. What does help? Regular flossing and brushing – with any kind of toothpaste or even none at all. Eating a low-sugar, nutritionally-dense diet based on whole foods. Regular dental visits. Habits like these make a much more positive impact. For the other important thing to remember about fluoride is this: not only is it ineffective and unnecessary; it’s also a poison that can damage many different organs and structures in the human body. When you weigh the risk against its negligible benefits, fluoride hardly seems a good solution to the problem of tooth decay. When we think about the health effects of smoking, the first things that come to mind are usually diseases such as cancer and emphysema. But smoking does a number on a person’s dental health, too – and far beyond simple bad breath and stained teeth. For instance, smokers are four times more likely than non-smokers to develop periodontal disease, even if their home hygiene is exemplary. Gum health deteriorates, often leading to bone and tooth loss. Some periodontists – dentists who specialize in treating the gums – refuse reparative treatments to smokers if they continue to use, such is the ongoing damage. 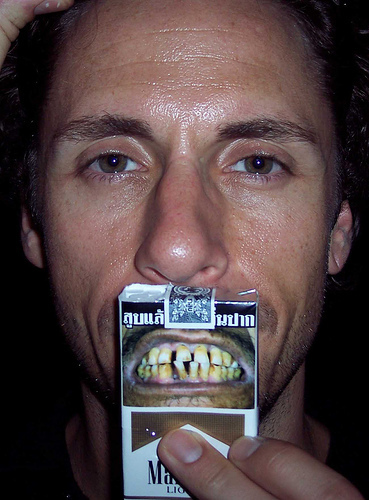 More than half of all cases of periodontal disease can be attributed to smoking. If you smoke, you might think, “Fine, but it’s my body. I can do what I want to it,” and that’s certainly your choice – though I would argue it’s far from the best you can make. But you’re not the only one exposed to the toxins in cigarette smoke. Just as secondhand smoke can cause cancer, emphysema and other diseases in non-smokers, so can it cause dental problems for a very vulnerable population: young children. Two studies published over the past couple years have demonstrated that “passive smoking” (exposure to secondhand smoke) considerably raises young people’s risk of dental problems. The first, published in 2008 in the Archives of Oral Biology showed quite plainly that children exposed to cigarette smoke had more caries (cavities). 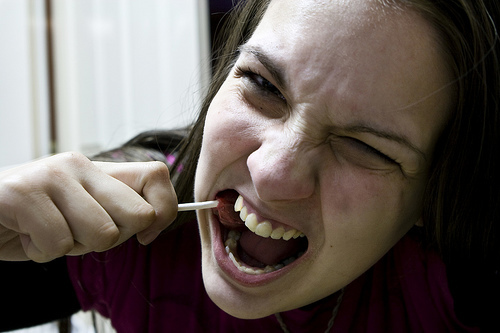 They also showed higher counts of pathogenic oral bacteria, more acidic saliva and a lower rate of salivary flow – all factors contributing to the formation of caries. The second study, published earlier this year in the Journal of Clinical Periodontology, found that children exposed to cigarette smoke also show deterioration of their gum tissues. Here, the researchers measured levels of continine – a primary metabolite of nicotine – in the children’s saliva, urine and gingival crevicular fluid (found in the small space between each tooth and the surrounding gum tissue), as well as conducted periodontal exams. Those children with higher continine levels showed lower clinical attachment levels (the attachment of gum tissues to the alveolar bone and tooth structure) – a marker of gum disease. Though it’s not clear why, this effect was more pronounced in children whose fathers smoked compared to those whose mothers smoked. The moral of the story? If you choose to continue to smoke, avoid doing so around others, especially children. But best of all – for kids’ health as well as your own – is to quit tobacco use altogether. For those of you ready to take that step, here are some resources from the CDC and info on a few natural remedies to help you get started stopping.